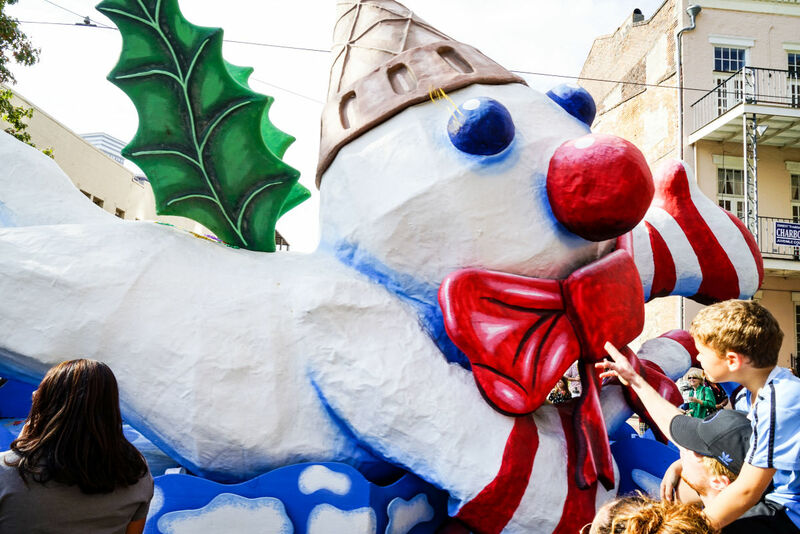 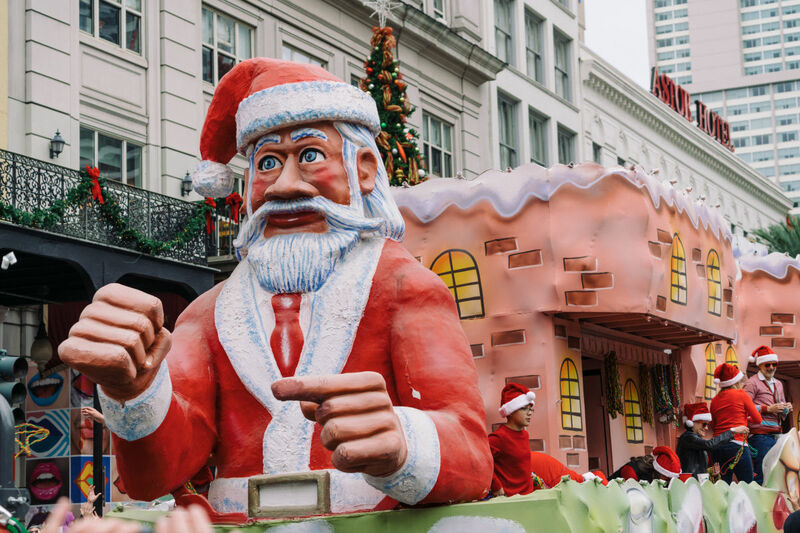 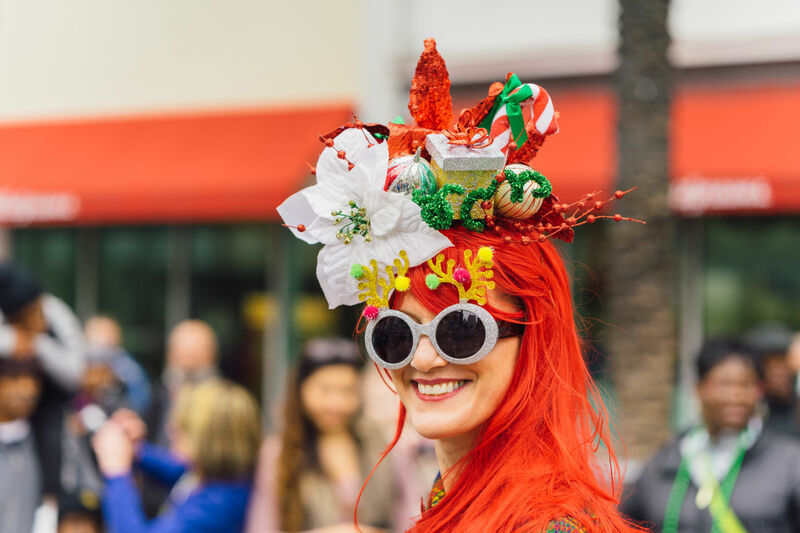 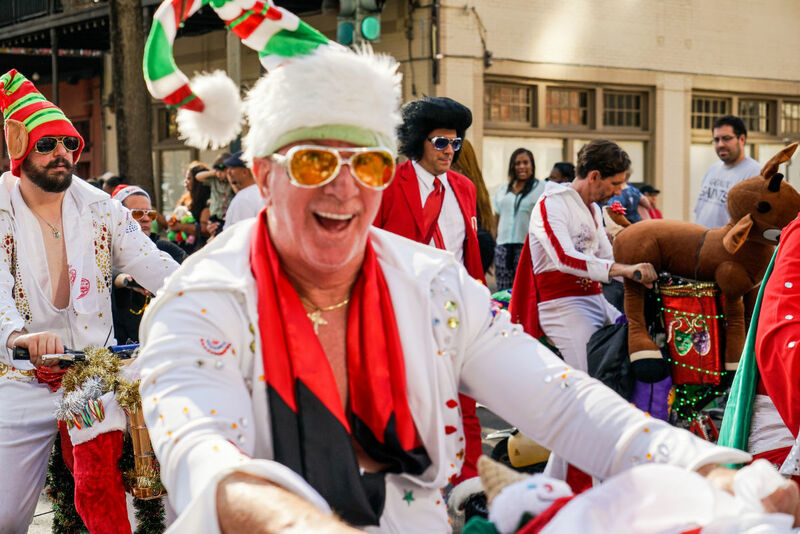 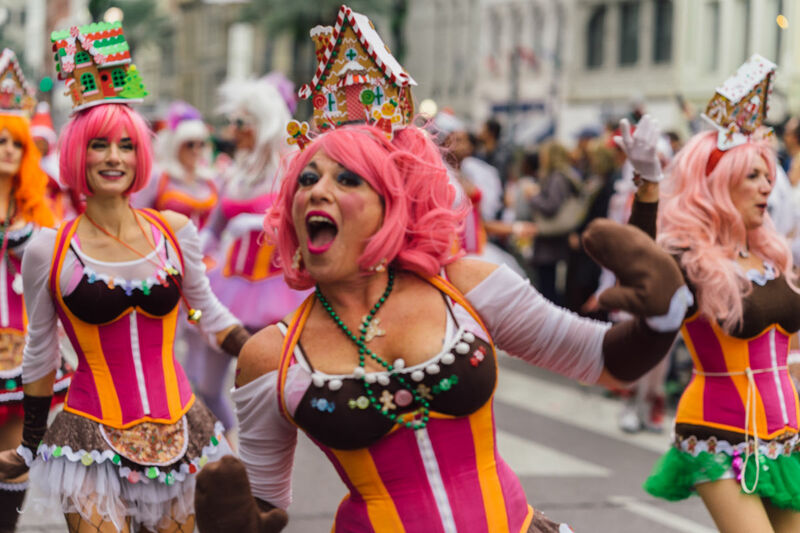 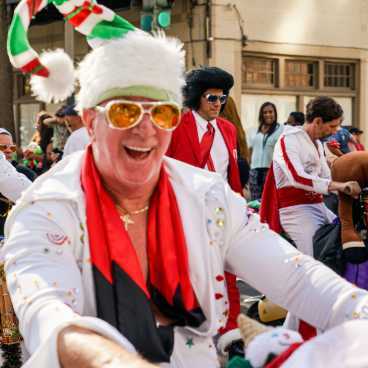 Presented by the Downtown Development District and the Roosevelt Hotel New Orleans, the Krewe of Jingle Parade is an annual holiday festivity in Downtown New Orleans featuring holiday-themed floats, marching bands, stilt walkers, music and more. 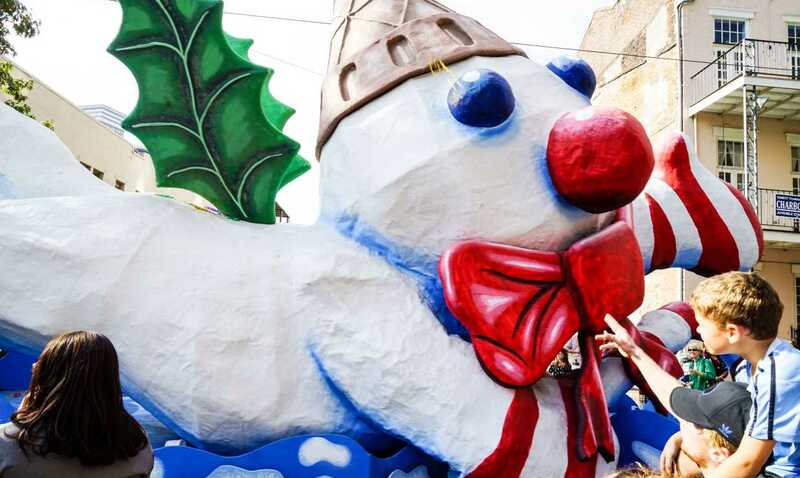 Parade-goers fill the blocks of the historic Canal Street as floats ride by release festive throws and goodies. 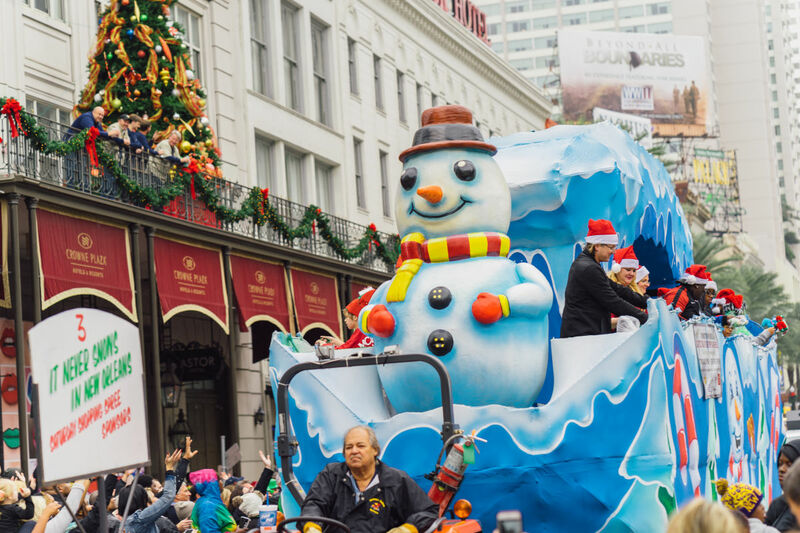 Special appearances by holiday favorites such as Mr. and Mrs. Klaus, The Gingerbread Man and even Frosty the Snowman have been spotted at past parades. 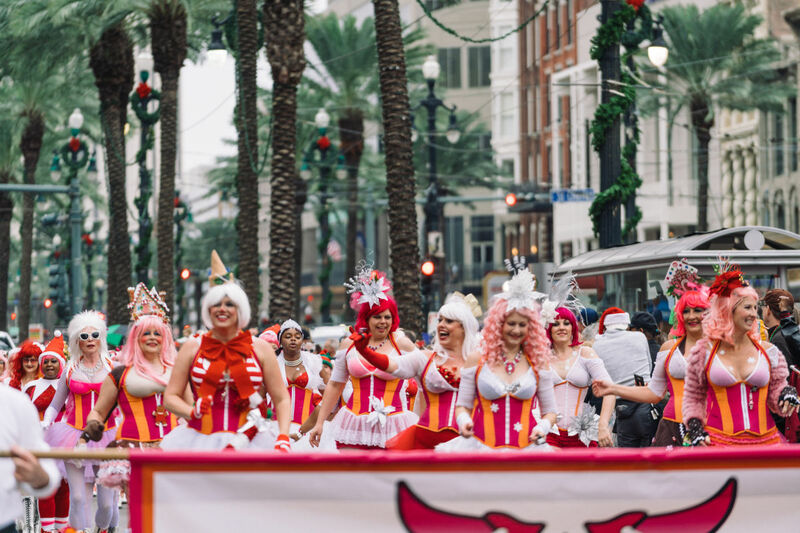 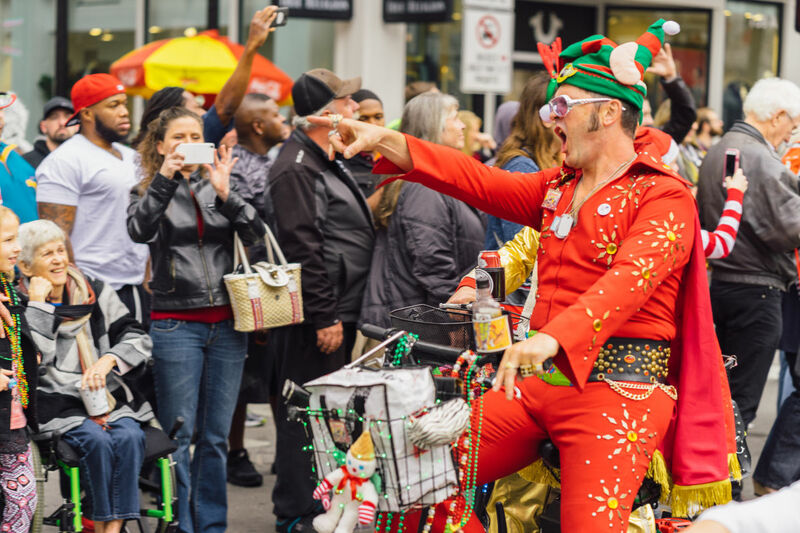 Typically hosted at the beginning of December, the Krewe of Jingle Parade is the perfect family-friendly event to kick-off the holiday season. 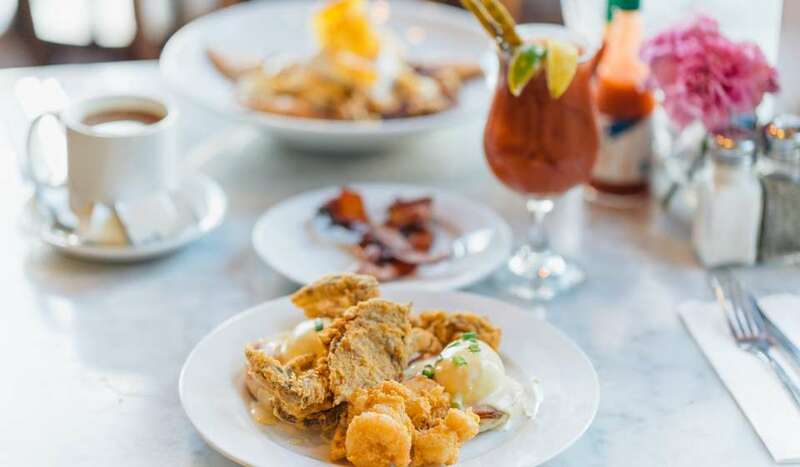 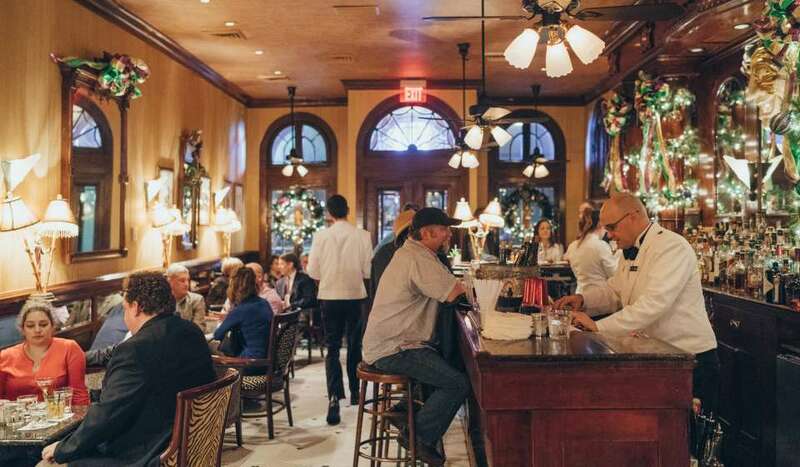 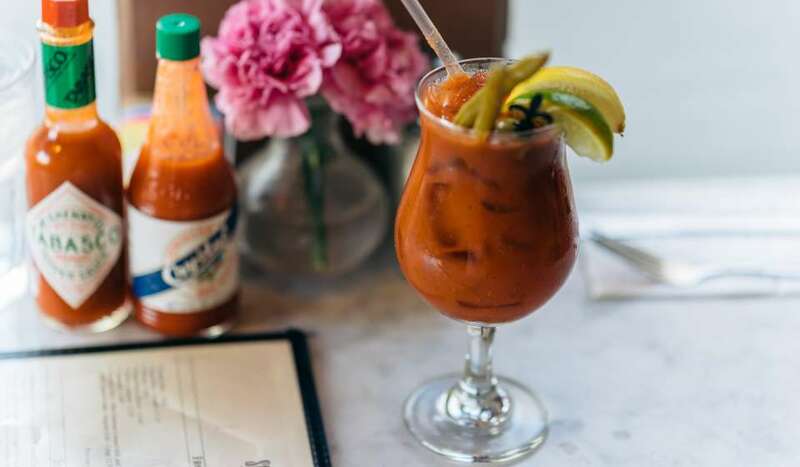 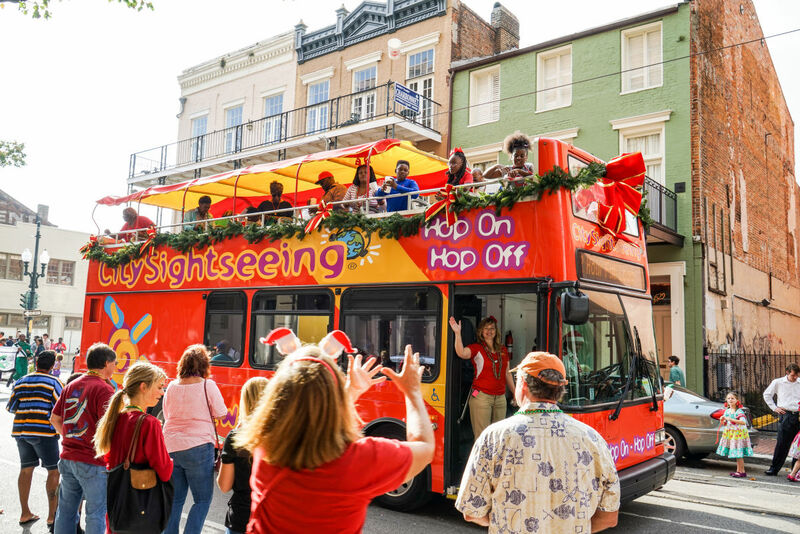 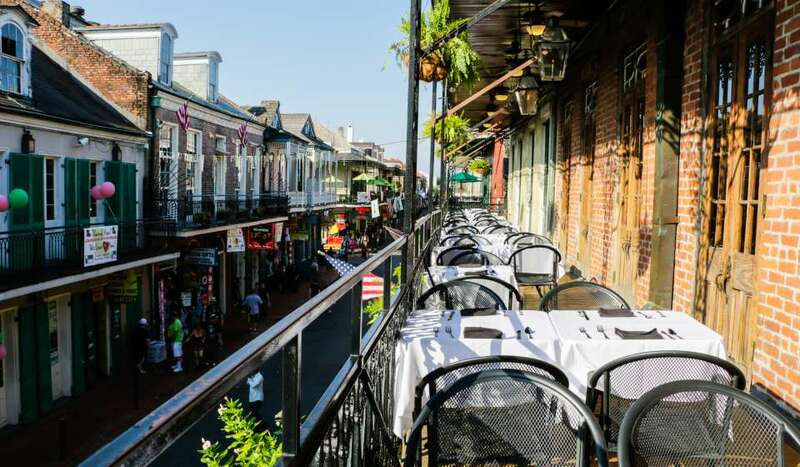 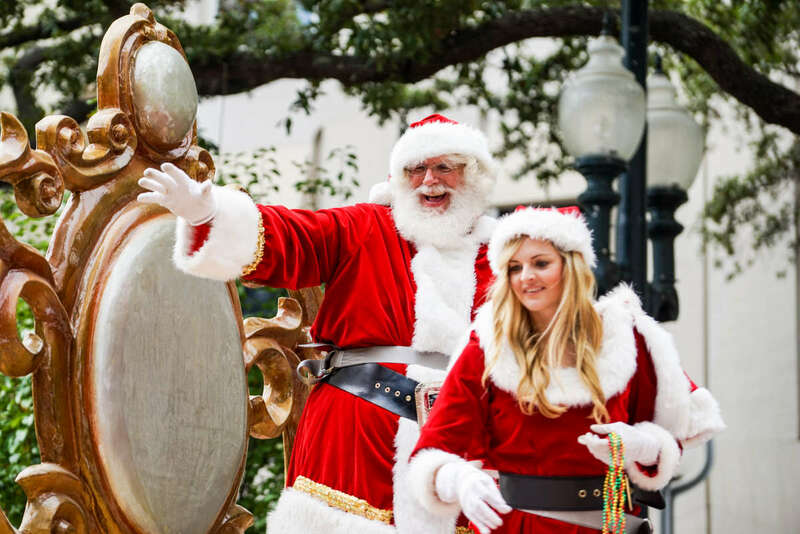 Enjoy the seasonal fun in Downtown New Orleans.